It is really an amazing task to go for a long ride on motorcycle and capture everything on the way with helmet action camera. Such videos will get huge rating on YouTube because it will capture something unexpected on a ride. Here you need to know one important fact that not all action cameras can provide desired results with helmet mounting. You need to keep an eye on few specific ones in order to get best recording output. If you are not able to make right decision after watching so many cameras in market then the article below will help you to grab some basic information about top helmet action camera features so that you can invest on right device. Bullet shape is highly preferred for helmet mounting due to its assisting design and better focus. Your camera must be light in weight. Check its photo and video quality. Never forget to ensure advanced digital image stabilization. It must be easily mountable on helmet with basic accessories. Your camera must be designed with shock resistant feature. Prefer to pick a dust proof design because you never know what kind of weather will be on the way. This camera is designed to serve users with so many in camera sensors and GPS facility so that speed, altitude and location can be easily tracked. Such information can help you to highlight your footage with some specific exciting parts. The best thing to know about this camera is that it can also track your heart rate with a Bluetooth compatible advanced heart rate monitor so that you can even have better health monitoring on your tour. The 4K videos can be recorded with 15fps whereas 30fps is available for 2.7K resolution. Its splash proof lenses will never let your compromise for video quality even in rainy weather. 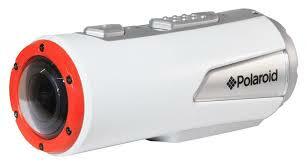 It contains 1900mAh rechargeable and removable battery. 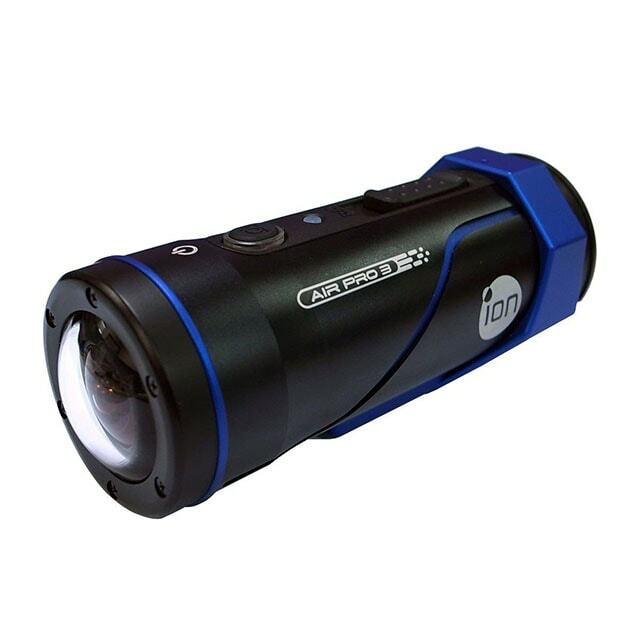 The compact size, Full HD support, water proof design and Wi-Fi facility makes this camera best for motorcycle rides. It can assist you in almost all adventurous activities like if you bungee jump, drive cars, ride motocross, ride bicycles, skydive, raft, walk, run, swim, surf, snowboard or ski. The overall weight of this camera is only 130 grams and its rugged body makes it one of the rising competitors in this section. ION offers maximum 8GB storage capacity with microSD card whereas 1800mAh battery can serve you for about 2 hours. Here is one of the best two way type LED controlled camera units that possess a on-off indicator, 2” LCD screen, loop mode, automatic video recording and tagging capabilities. Sports enthusiasts love to carry this camera in order to capture some of the best moments of their life is it offers solid video quality along with long battery life. Sad part is that this device is not shake proof so you can face minor issues in final recordings. But it is best for navigation, intuitive usage and offers easy set up. Its lipstick tube type design can be easily mounted on wide range of separately available mounting hardware. 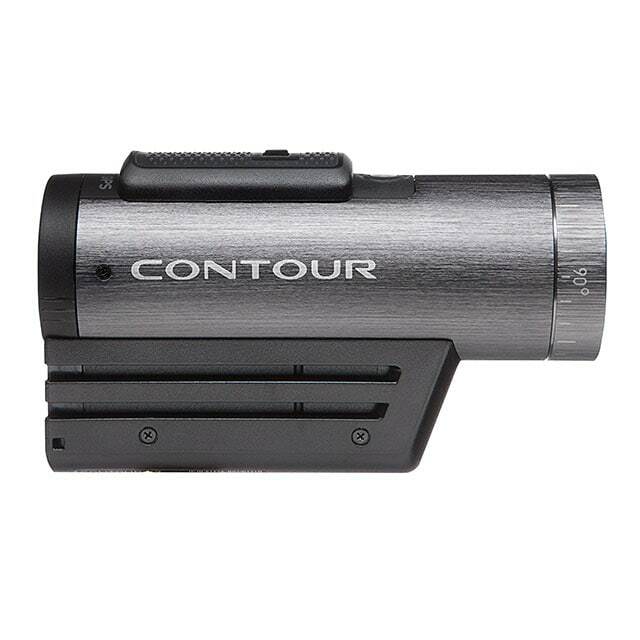 The flush lens type construction offers 270 degree wide focus whereas laser setup help to adjust camera angles automatically. The recording can be easily initiated by sliding on record switch for shoot whereas GPS tracking offers all updates about location, distance, elevation and speed. It is well known for rich quality, durable design and professional focus. 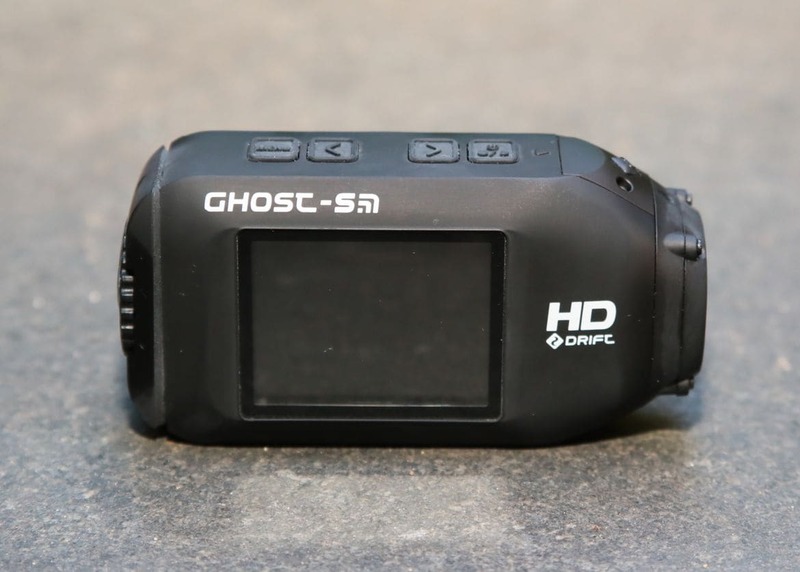 The frame rate can be easily adjusted whereas shockproof exterior along with dual file recording type feature and advanced shock proof exterior make everything more suitable for a long ride on motorcycle. It offers 1200mAh battery and can go under water up to 10m without any special housing arrangement.